Rewarding Times have once again teamed up with Teeling Whiskey to bring you a fully guided tour for 2 of the Teeling Whiskey Distillery, experiencing all the smells, sights and sounds associated with an operational distillery. Conclude your tour with a “Trinity” tasting of Teeling Whiskey’s flagship range of multi-award winning whiskeys and two handcrafted Teeling Whiskey Irish Coffees at The Bang Bang Bar. 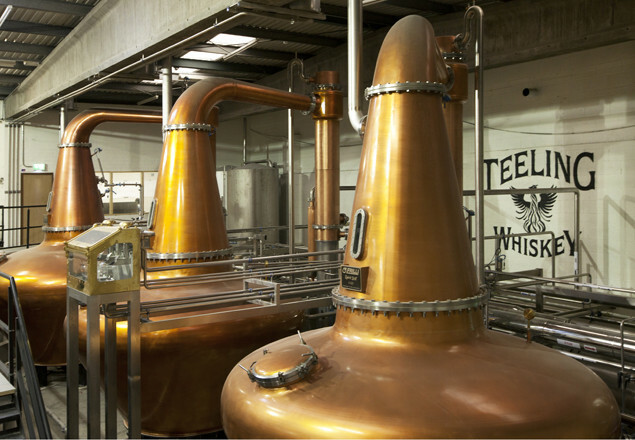 Located in the heart of Dublin city centre, the Teeling Whiskey Distillery was the first new urban distillery to open its doors in Dublin in over 125 years when it did so in March 2015. Since then it has attracted over 200,000 people, winning multiple awards including World’s Best Whiskey Visitor Attraction in 2016 and most recently a “Master” at The Distillery Masters, 2018. The Teeling Whiskey Distillery is the perfect place for any whiskey fan looking to discover all that a progressive Irish whiskey producer has to offer, all of our tours are fully guided.